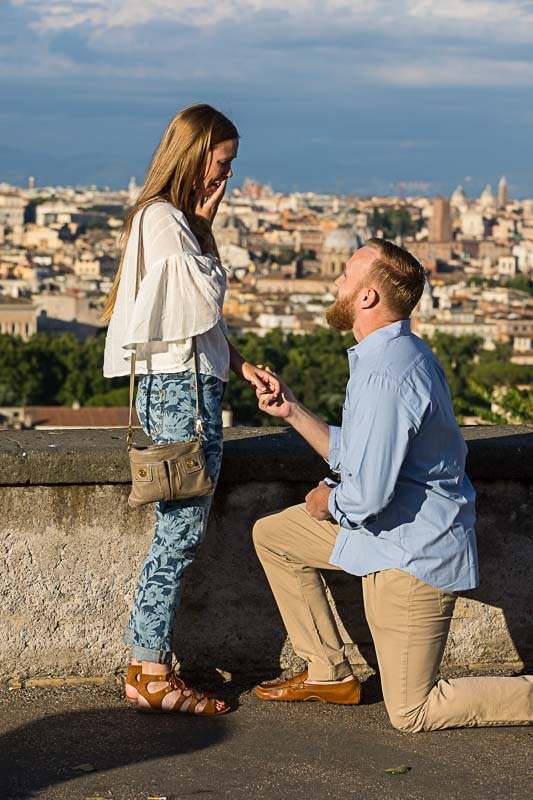 Can’t think of a nicer place to propose than over the panoramic view of the ancient city of Rome! With a beautiful sun setting sun and warm golden light. Followed by the faithful yes! 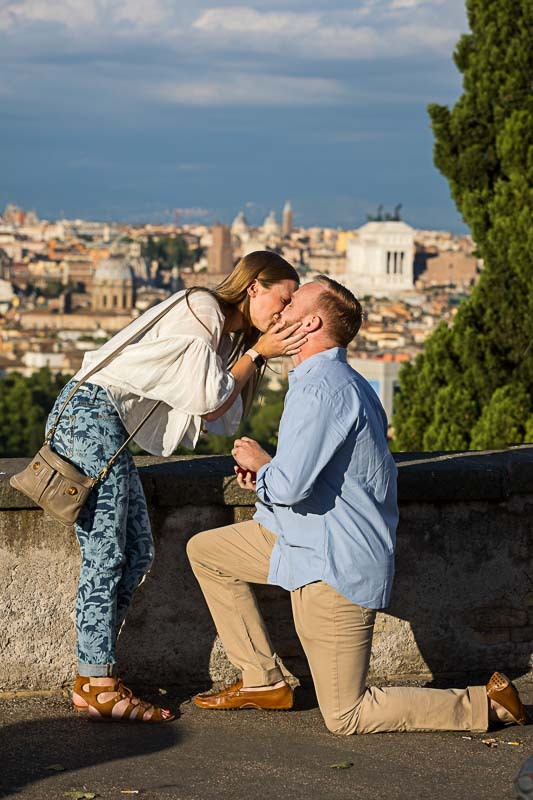 After taking some more engagement photos in the area, we headed to the nearby Fontanone water fountain. 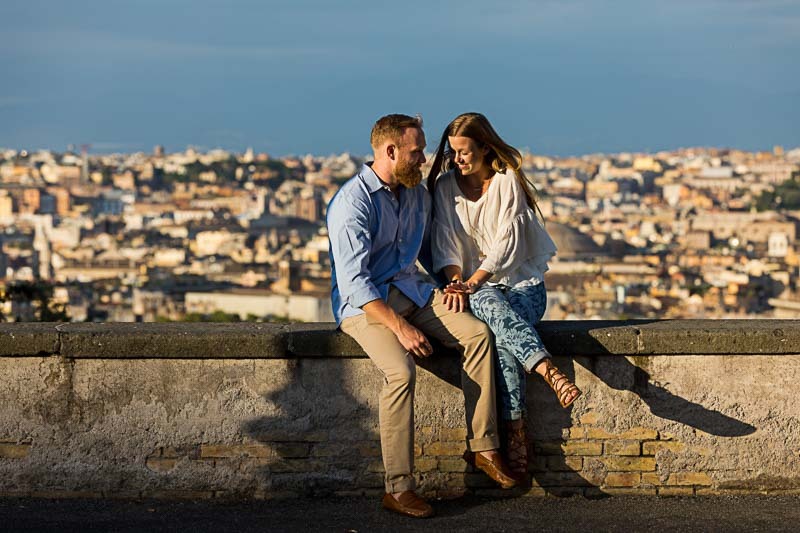 Where we continued the session with a few more couple portraits as well as some engagement ring pictures!